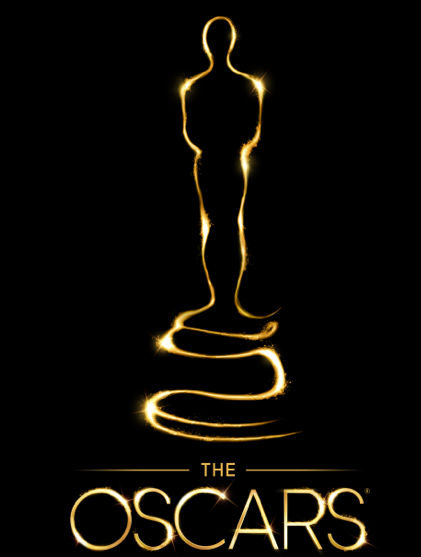 Tomorrow night is the Oscars and a great time to reveal a few celebratory appetizers and cocktails that you may like to try at your Oscar party. The appetizer recipes follow in today’s following posts, the cocktails in Sunday’s posts. 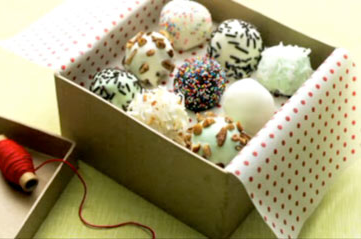 Originally saved this truffle candy recipe from the inside of a Philadelphia Cream Cheese box, but it is now readily available at Kraft’s site: http://www.kraftrecipes.com/recipes/simply-sensational-truffles-107529.aspx#. 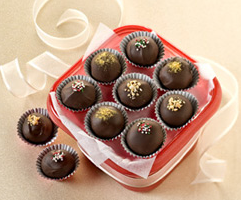 But, since recipes like this come and go, it is repeated here, just in time for St. Valentine’s Day. Here is my Polish grandmother’s signature bread, and no one in the family, no one, had the recipe. She was an elegant lady who also was a fabulous cook, including dishes such as tender venison steak and walnut-stuffed turkey. But she made this always round, hard crust bread almost daily, sometimes adding raisins and topping with sugar. 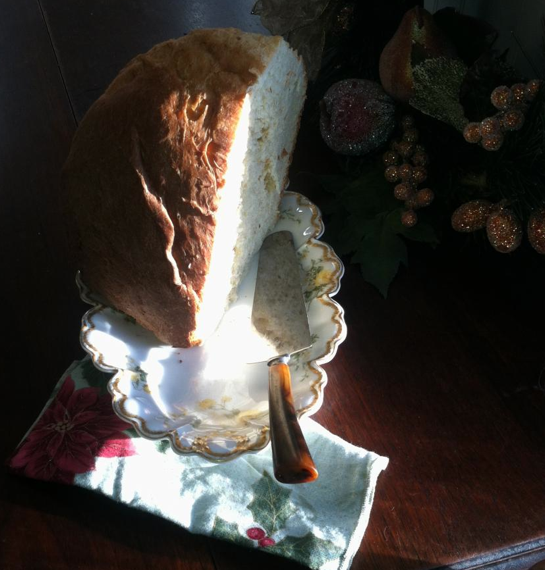 This bread was treasured, especially at my mother’s swanky Christmas parties. And, one summer, a grandson entered her bread at the Wisconsin State Fair, where it promptly won a blue ribbon. My grandmother never used a recipe for her bread, of course, and would gently laugh while raising her shoulders when we asked how to make it. But we could watch. This “close-as-we-can-get” recipe comes through my uncle and aunt. He was the second youngest of her nine children, and saw her make bread countless times. I’m so grateful, for as I follow it, grandma comes to life, there in her small kitchen, brewing strong black coffee as she scalds the milk with butter and sugar, then softens yeast for her bread. Then she stops, turns, and in her wonderful Polish accent, asks me to “wait a minute,” as she pulls ginger cookies down from the pantry for me before turning back to her bread. A lovely way to celebrate Valentine’s Day. This appetizer comes from Fast Appetizers by Hugh Carpenter and Teri Sandison, published in the Minneapolis Star Tribune in 1999. 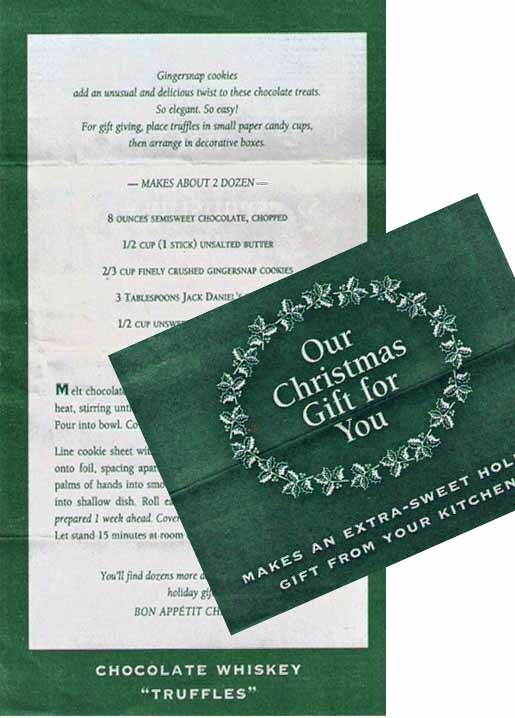 An appetizer from The Book of Finger Foods by Hilaire Walden and published by the Minneapolis Star Tribune in 1999. Note: Serve in rolls, or, you could also deconstruct these rolls for a different, new appearance, just spread the cream cheese mixture on a thin slice of cucumber, or rye toast (or both!) 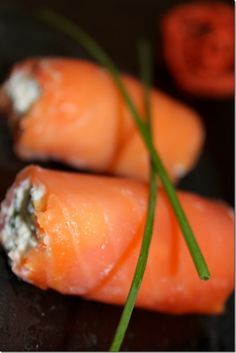 and top with smoked salmon and decorate with fresh dill. 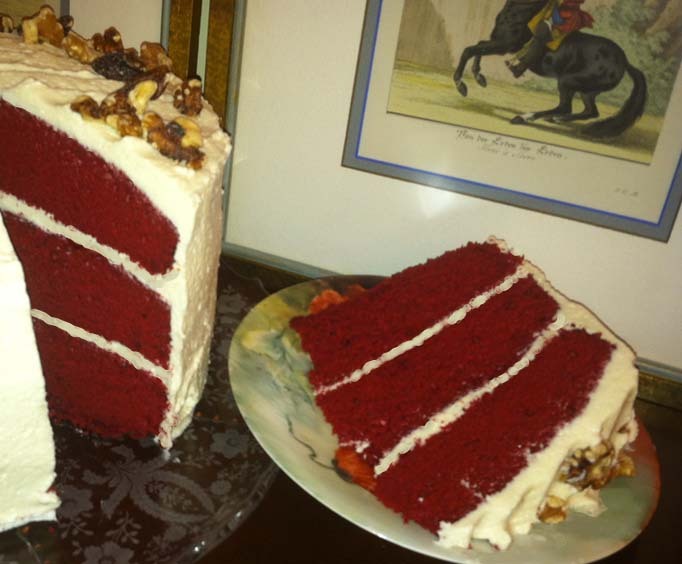 Red Velvet Cake …all the rage now. Writers detail the history; Others debunk the Waldorf Astoria link we believed in. Google “red velvet” and a billion recipes appear. A red impostor cake mix is sold at grocery stores. Ugh. This recipe swaps cheeses with the “Swiss on Rye Chips” posted on Trumpeter Hill, and is served as a dip. But you cannot beat Jarlsberg cheese! Preheat oven to 350° F. Combine all ingredients and bake 20 min. or until golden brown. Serve hot with chips, crackers or bread. My sister Jo’s magnificent confection. It will leave you speechless.